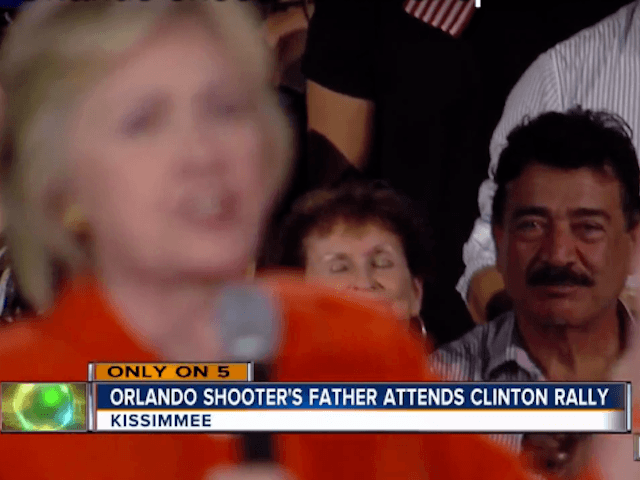 Seddique Mateen, the father of the Orlando nightclub shooter, attended a Hillary Clinton rally in Kissimmee, Florida, placing himself prominently behind the presidential candidate as she spoke to supporters. Mateen was visible in the backdrop of Clinton’s speech as she paid tribute to the police officers and victims of the shooting. A WPTV reporter recognized Mateen and interviewed him after the event. It is unclear whether the Clinton campaign was aware of Mateen’s presence, and have yet to give a statement about the incident to WPTV. Clinton paid tribute to the victims of the shooting during her rally. I just have to tell you how grateful I am for the leadership and the people of Orlando and Central Florida for your love and compassion. And I know how many people, loved ones and friends, are still grieving. And I want them to know that we will be with you. 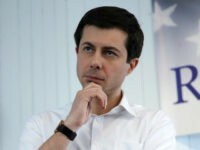 We will be with you as you rebuild your lives, as you rebuild hope for the future, because we can’t ever let that kind of hatred and violence break the spirit, break the soul, of any place in America. When reporters asked Mateen why he supported Clinton, he replied, “Hillary Clinton is good for United States versus Donald Trump, who has no solutions. He showed reporters a sign he made in support of Clinton, calling for more gun control laws.